Flu vaccines are either “dead” (shot) or “inactive” (nasal spray) viruses so they scientifically cannot replicate, infect or spread through the body. However, stories of people getting sick after getting the flu vaccine - including actual influenza infection - are not crazy talk. There are several plausible explanations for getting “sick” in the winter despite getting a flu shot. Other viral illness. Other viruses can cause infections and symptoms that look much like the flu. Many people self-diagnose themselves with “flu” when it’s actually just a nasty “common cold”. The flu vaccine does not protect against these viruses that cause head colds, bronchitis, intestinal problems, sore throats, etc. Strong immune response following vaccine. The flu vaccine causes a low-grade immune response by design; that’s how all immunizations work. The degree of the response can vary from mild (no symptoms) to more severe (resulting in flu-like symptoms for a few days following vaccination). Immunity lag time. Your immune system will require about 2 weeks to gain full immunity. During that lag time, it is possible to get infected with a live flu virus. Not 100% flu strain coverage. There are 3-4 main subtypes of flu but dozens of strains circle the globe each year that are constantly mutating. Each year’s vaccine is planned on these international trends. This process usually results in 90-95% match for the strains that eventually became common in the U.S., but not 100%. Not 100% preventive against infection. Even if you have some immunity to a virus, you can still become infected. In theory, your immune response will be much quicker and stronger - lessening the severity of infection - but you may still become sick. Poor immune response. Some people who get the flu shot do not gain significant “immunity”. This issue is complex, but most common in the very young or old, so guidelines now recommend extra vaccine (dose or quantity) in some groups. Why should you get one at all? For all the reasons listed above, the current flu vaccine is not 100% protective against getting sick this winter. Our public health marketing effort may have oversold the flu shot in many ways. It’s nowhere near as effective as other vaccines (measles, tetanus, etc.) at preventing illness or death. However, it’s the best available way to lower your risk of contracting the flu, becoming very ill and passing the flu to family and friends. Exercising regularly and eating a well balanced diet does not guarantee you won’t get heart disease or cancer, but I’m not afraid to recommend them either. Starting October 1, 2013, I will be offering a lifetime of primary health care for a one-time payment of $5000. As I was bootstrapping open my family medicine practice last year, I read about a creative brewery in Minneapolis who raised start-up capital by selling a lifetime of free beer for a $1000 “membership” at their bar. The Kansas-Minnesota trek prevented me from investing in this brilliant offer, but as a budding entrepreneur, I was inspired. After resigning to not wait for “the system” to provide my patients better or more affordable care, I started a Direct Primary Care practice fresh out of residency. We now provide our friends and neighbors comprehensive primary care for a simple, fixed membership fee of $30 or $40 per month per person -- including most routine labs, many procedures, flu shots and more -- and without co-pays, 2 hour wait times, worries about deductibles or the need for insurance middlemen. Our clinic has grown steadily since starting in December 2011. We are now expanding our services to better care for our existing and future members. Being averse to more debt, the strings of venture capital and the anonymity of Kickstarter, I decided to take a cue from a cool brewery. We are now offering 20 “Lifetime Memberships” in our practice. This local, crowdfunding effort will help pay for a wholesale medication program, diagnostic equipment (e.g. ultrasound machine) and a few other projects -- allowing us to provide even more value to our members with free or at-cost services. As a lover of beer, I understand a lifetime of primary care is not as enticing or refreshing as an ever-flowing pale ale spigot. But, considering $5000 would only fund the average person's "middle of the road" health insurance premium for the next 15 months (with access to pay $40 co-pays and for $12 band-aids), it's a bargain. I am hopeful we can find a few folks to support us and our mission. Recently, I had a discussion with a prospective member about how our Direct Primary Care membership model will fit with his family’s health insurance plan. They had a high deductible plan that covered some preventive services at no cost, but not much else before spending $5000 per person per year. Being in the financial industry, he was shrewd in analyzing the “extra” cost of maintaining a membership with us -- versus using his insurance plan rates while paying out-of-pocket for routine care. The family was relatively healthy, but Dad had high cholesterol and blood pressure that required a few doctor visits and routine labs per year. Mom recently required a plethora of lab tests for what turned out to be lactose intolerance. Little Johnny broke his leg last year that resulted in an ER trip and cast for 6 weeks. This care totaled up to $9500 in out-of-pocket expenses over the past 2 years. After the inquisition, he was quite stunned at the wide disparity in pricing between our fees and his insurance plan “discounts” prices. He encouraged me to create a comparison table to share with prospective members on high deductible insurance. Many insured people want to use their health insurance for all care so they can "maximize" it's worth; to "get more out of it". I never get warm fuzzies when holding my plastic health insurance card, but I get it. However, at these "discount" prices, I'd argue it's more abuse than maximizing value. The cost for us to provide the families health care over the past two years (including membership fees and non-covered fees) would have totaled $2380. He didn't see our membership fees as "extra" any longer. And next year, with our wholesale medication program, we will be able to save Dad $60 per month ($720/year) on his three medicines. Maybe Direct Primary Care's best value is as insurance against being further abused by your insurance plan? Recently we have changed NeuCare memberships and pricing to be nearly all-inclusive. Memberships will now cover the vast majority of your primary care needs with ZERO FEES or COPAYS -- including unlimited doctor visits (clinic or virtual during regular hours), most routine lab work (including cholesterol, chemistry panel and diabetes tests, and pap smears) and free flu shots. We are also lowering the fees for many services, including procedures, house-calls and after-hours visits. Our believe our new pricing model will provide members with a better value, convenience and more consistent health care finances. Also, it will allow us to fund several awesome projects, including a new electronic health records system, wholesale prescription medication program (50-80% less than pharmacy prices! ), a fitness/weight loss program and some equipment (x-ray, ultrasound and maybe sharks with friggin’ lasers on their head!). All new members will start with this system immediately. Existing members can transfer immediately, but must transfer to new membership pricing by Jan 1, 2014. See details below. *$50 registration fee for each new billing account (individual(s) or family plan). Waived for existing members. Existing members may transfer to the new pricing starting now, but will be required to by Jan 1, 2014. If membership fees have been prepaid beyond your transfer date, any existing balance will be credited towards our new membership fees. You may choose to pay fees 1) Monthly or 2) Yearly with 1 month discount. Either option will require enrollment in our AutoPay system with a Visa or Mastercard. We will no longer be offering invoicing/billing of membership fees beyond Jan 1, 2014. Please complete this TRANSFER FORM asap to maintain your membership as active - due by December 1, 2013. Leaves of three? Let it be! Myth: The poison ivy rash spreads itself through oozing. Fact: The rash, or discharge from the rash, does NOT spread itself to other areas of the body. The skin reaction is to a chemical called “urushiol” that is produced by the plant. Urushiol is a colorless, odorless oily substance that can stick to anything (skin, clothes, tools) and be spread around to different areas of your skin. Even the timing of that reaction after exposure can vary widely - sometimes by days or weeks - so it appears as though the rash is “migrating”. Myth: I am allergic to “poison oak” or “sumac” but not “ivy”. Myth: I’ve never reacted to poison ivy in the past, so it’s safe for me to handle it. Fact: We don’t fully understand why certain people react to poison ivy and other’s don’t. However, anyone can develop (or lose) the immune response at anytime in their life. I have seen many patients have their first poison ivy rash later in life despite dozens of previous exposures. Myth: Only steroid shots or pills will get rid of my poison ivy. Fact: Regardless of treatment, most rashes will last for 2-3 weeks. Steroids may help speed up that process by 1-2 weeks if started early. Systemic steroids (oral or injections) can be useful and needed in severe cases - especially if on the face or other sensitive areas. However, steroid skin creams can get the same amount of medication to the affected areas; and without the steroid circulating through the rest of the body. 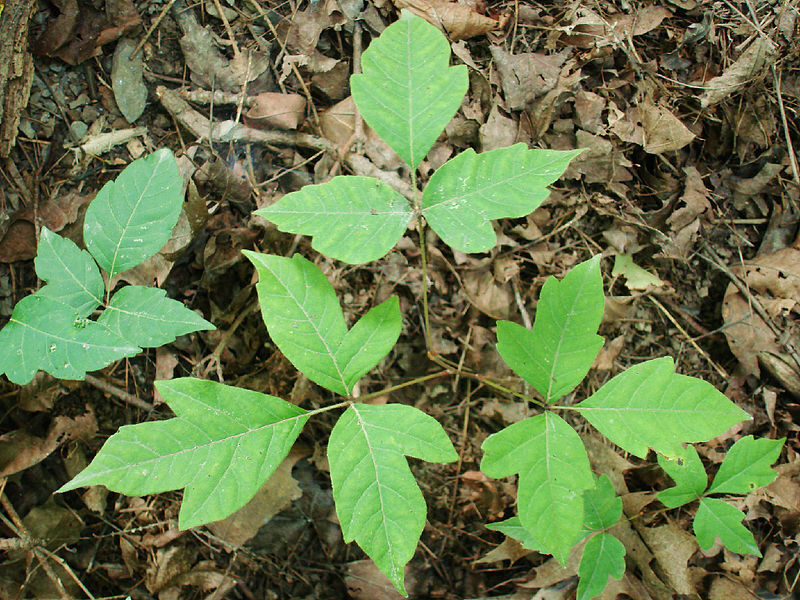 Myth: Only the leaves of the poison ivy plant are poisonous. Fact: Every part of the plant contains the urushiol oil. People tend to get exposed more in the summer because people are outside more and the leaves create more opportunity for contact. However, I have seen many cases of poison ivy rash in the dead of winter - probably from the vines of dormant or dead plants. Many women dread the eventuality of menopause - while others welcome it with open arms. In either case, the process of reaching the "end of monthly cycles" can be a rocky road. Don't have the time, patience or money to create an Advanced Medical Directive with your end-of-life medical wishes? 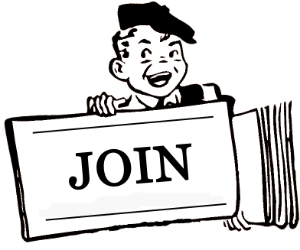 With MyDirectives.com, you really have no excuse not to do so. Welcome to NeuCare.net. Version 2.0 of our website has been an idea simmering in my brain for quite sometime; probably before finishing Version 1.0! While I have received many compliments on the style of our original website, it lacked clarity and cohesiveness of exactly how NeuCare works. I really think. . . . .